Too many students especially those furthest from opportunity are unprepared for the modern economy and the challenges of the 21st century. Based on that condition INISS built a school where the student can have it. INISS applies PBL (Project, Problem Based Learning) as a curriculum. 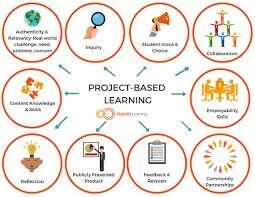 Project Based Learning (PBL) prepares students for academic, personal, and career success, and readies young people to rise to the challenges of their lives and the world they will inherit. Students work on a project over an extended period of time - from a week up to a semester - that engages them ini solving a real - world problem or answering a complex question. They demonstrate their knowledge and skills by developing a public product or presentation for a real audience. 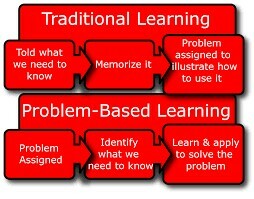 Problem-Based Learning (PBL) is a teaching method in which complex real-world problems are used as the vehicle to promote student learning of concepts and principles as opposed to direct presentation of fact and concepts. 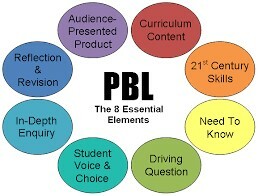 in addition to course content, PBL can promote the development of critical thinking skills, problem solving abilities, and communication skills. It can also provide opportunities for working in groups, finding and evaluating research materials, and life long learning (Duch et al, 2001).